Definition of anterior horn of the spinal cord. 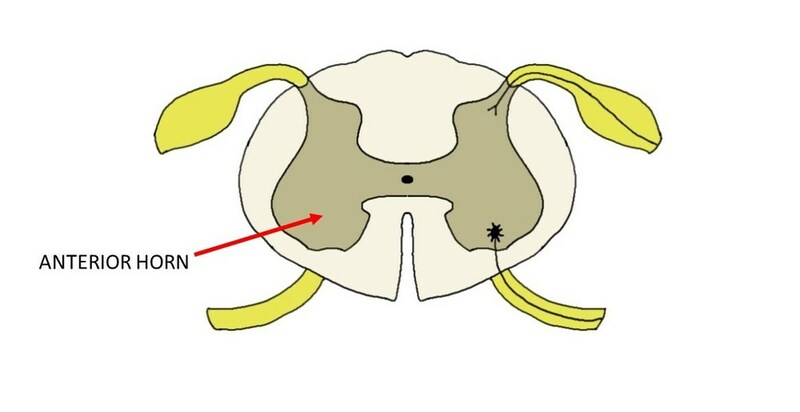 one of the divisions of the grey matter of the spinal cord, the anterior horn contains cell bodies of alpha motor neurons, which innervate skeletal muscle to cause movement. The anterior horn also contains other neurons involved in local circuits and the cell bodies of neurons called gamma motor neurons, which are involved in regulating muscle spindle sensitivity.